Fleet Feet Running Club Rock Runners is a free group that meets once per month on Sundays to run or walk local trails. Each month we meet at a different location and provide routes of between 2 and 4 miles. Rock Runners meets at 7:30am. 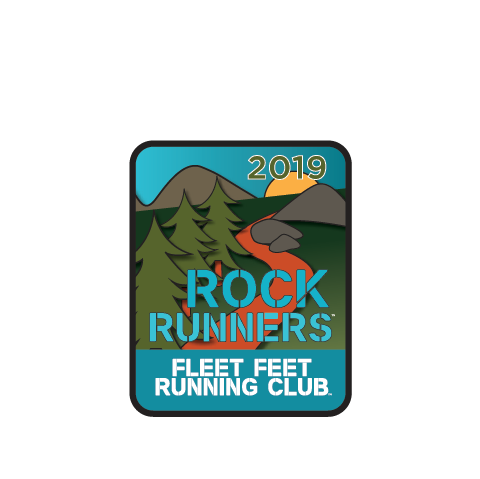 Register here (it's free) and attend 3 workouts to earn your Fleet Feet Running Club Rock Runners badge. Description: Fleet Feet Running Club Rock Runners is a free group that meets once per month on Sundays to run or walk local trails. Each month we meet at a different location and provide routes 2-4 miles. Rock Runners meet at 7:30am. Check out the facebook event for more details.